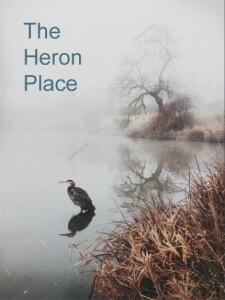 The Heron Place is the winner of the 2015 Swan Scythe Press Poetry Award, appearing as a chapbook in January 2016. It is a long poem or poem-sequence, a meditation on landscape, story, and memory: a memorial to love and an inquiry into what defines “place.” See swanscythe.com to order copies. what skin or fur or root?